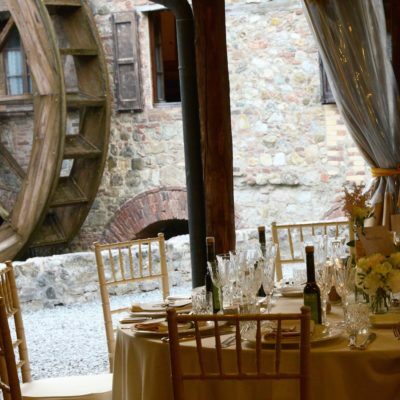 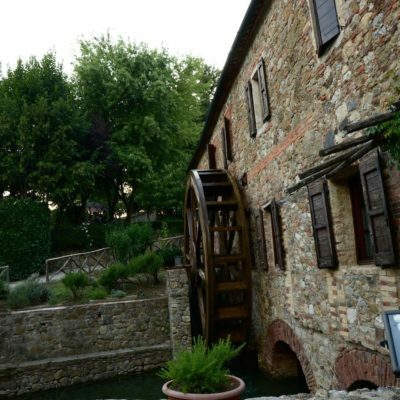 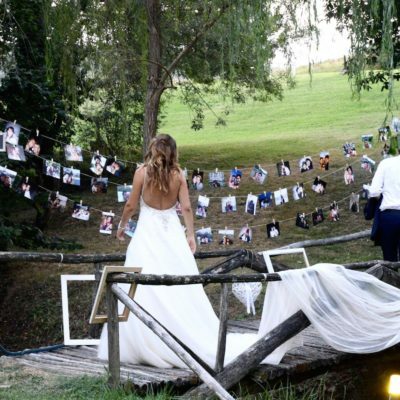 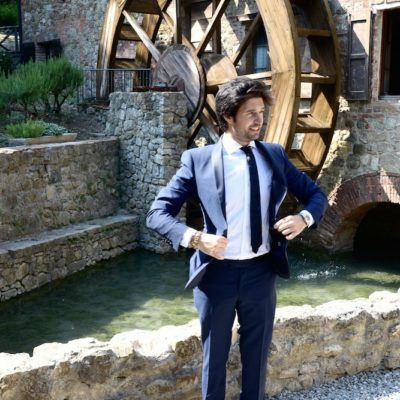 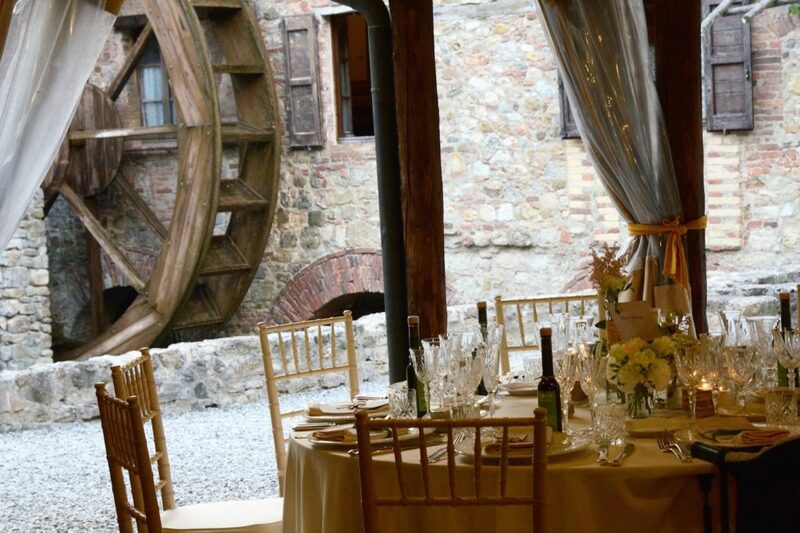 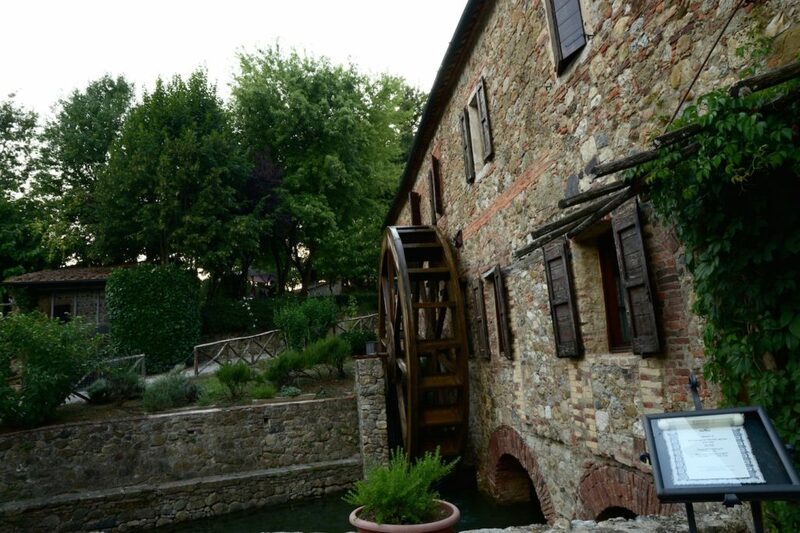 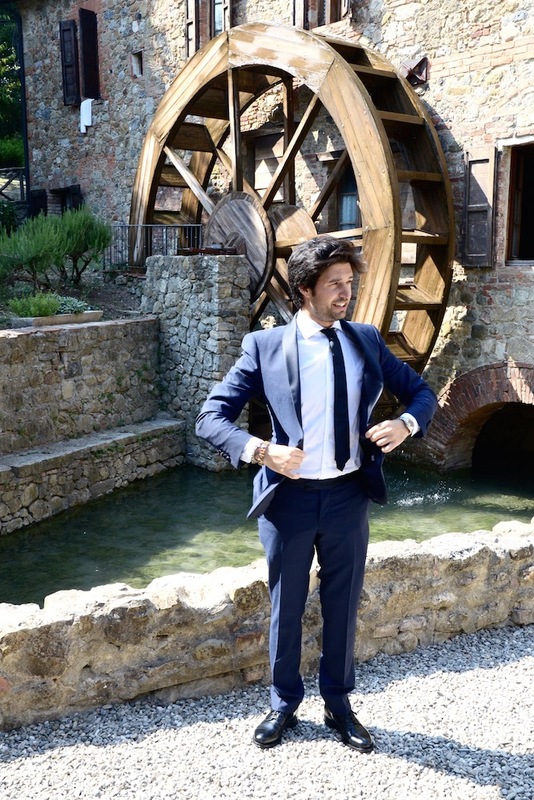 There was a beautiful and famous water mill near a nice river in Tuscany, fantastic place where having a memorable wedding reception. 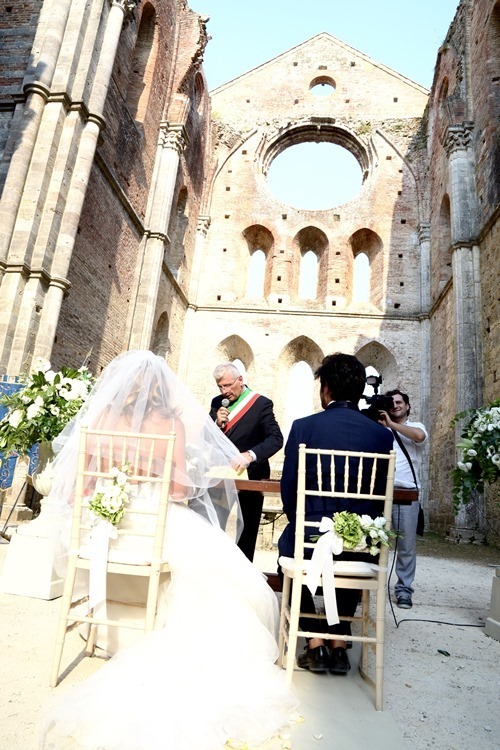 There is a wonderful and breathtaking Church roofless, where a romantic and elegant civil ceremony can take place. 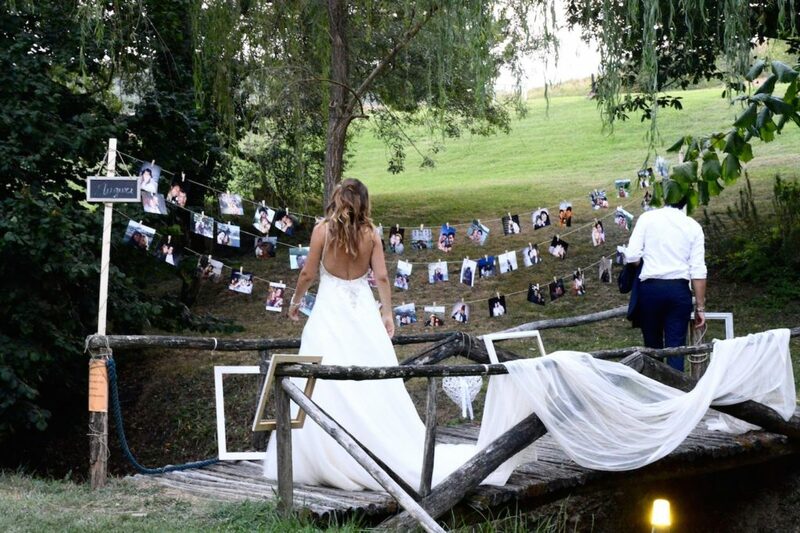 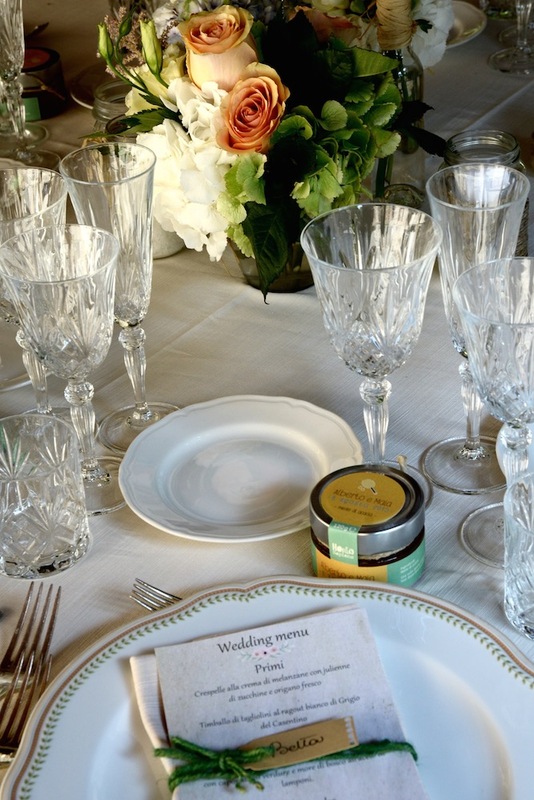 Put all these ingredients together and you have an unforgettable country and fary tale wedding. 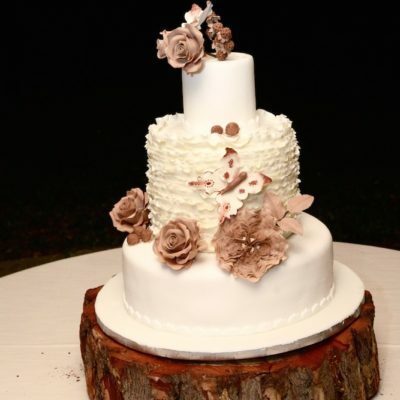 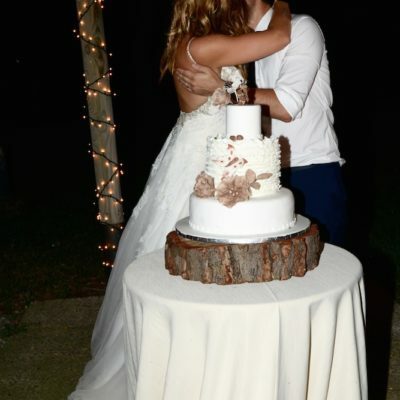 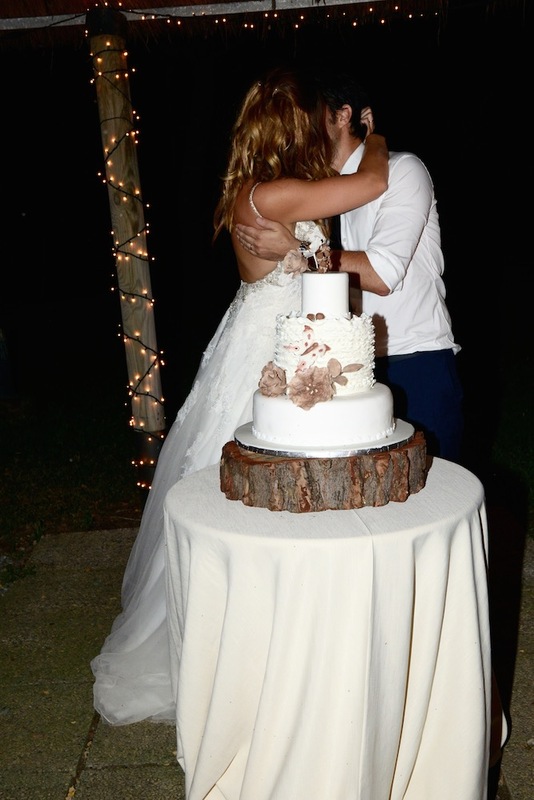 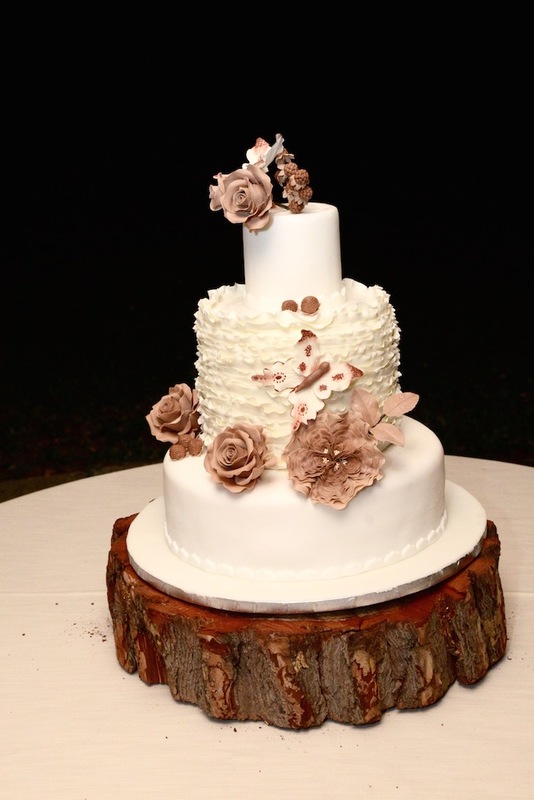 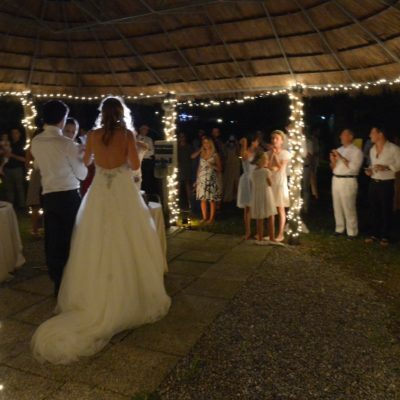 The couples wanted a romantic and farytale wedding and we gave them exactly what they asked for. 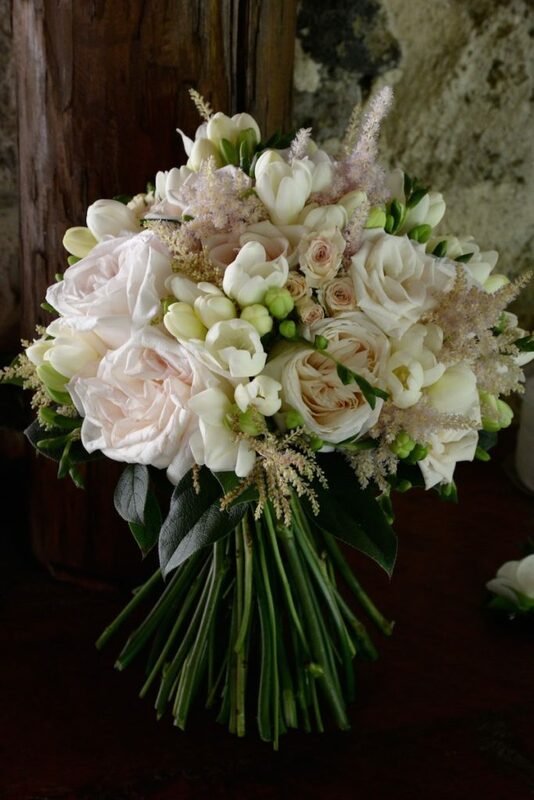 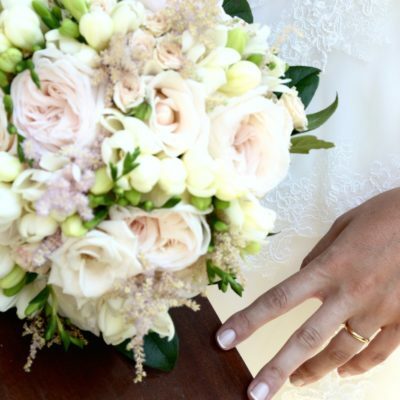 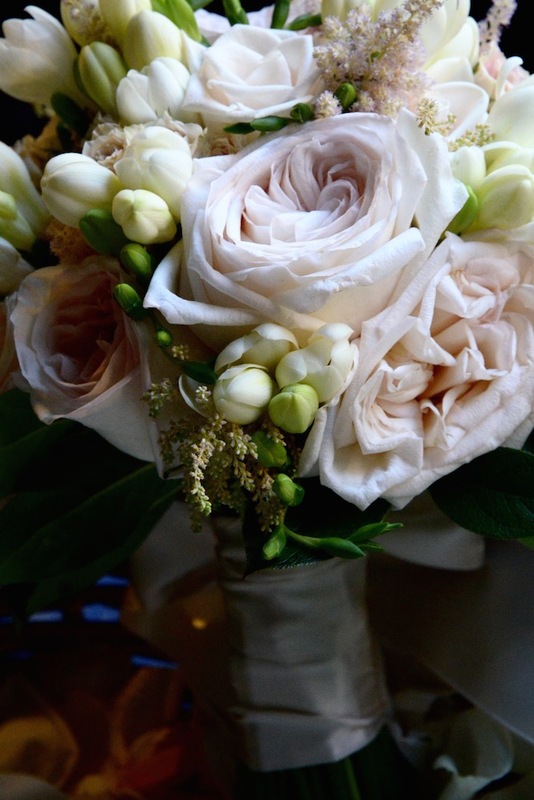 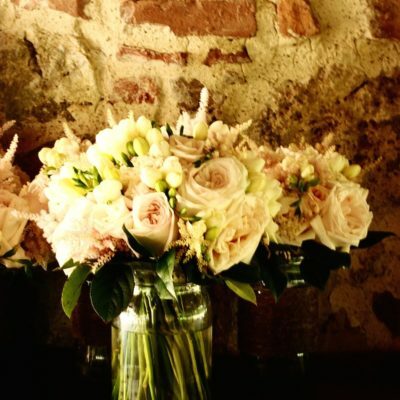 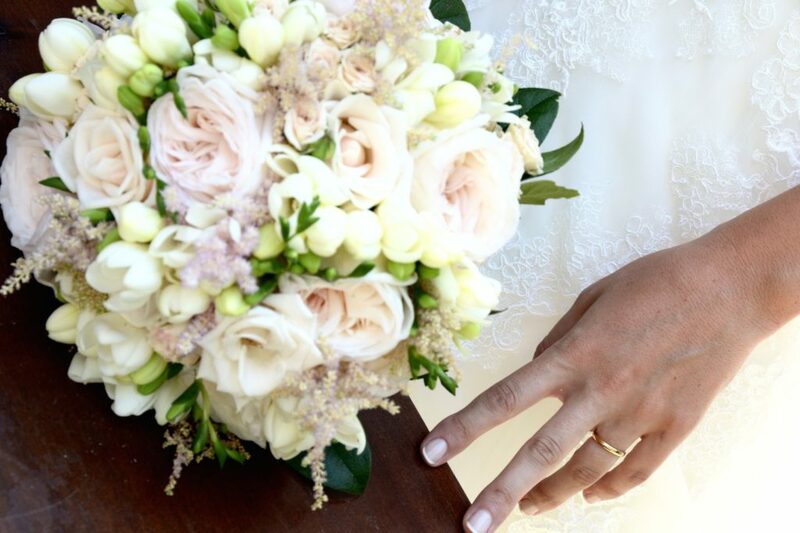 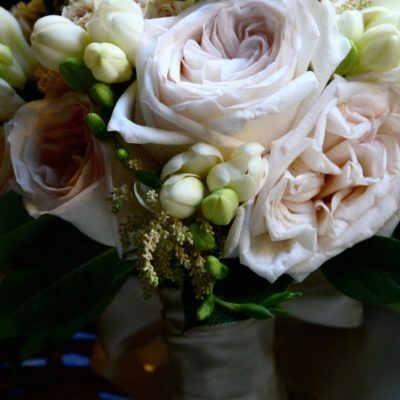 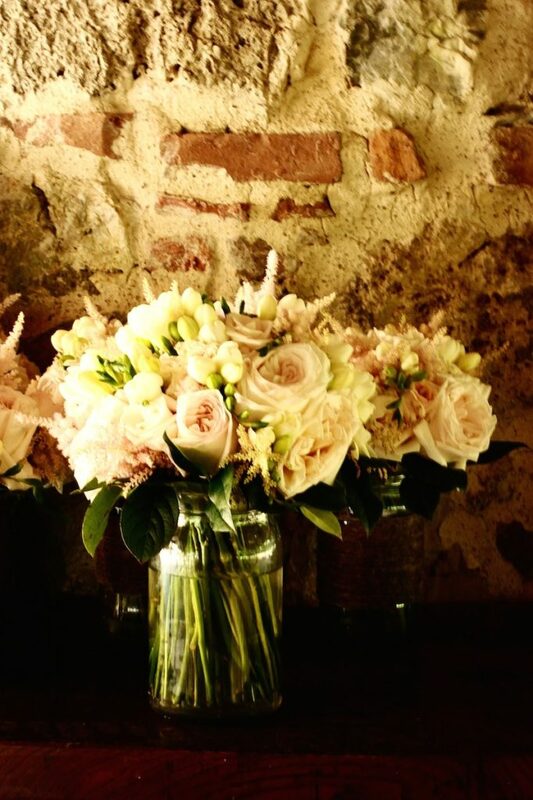 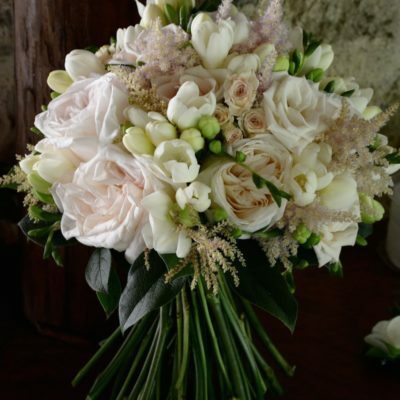 All the decoration where fantastic in blush and ivory. 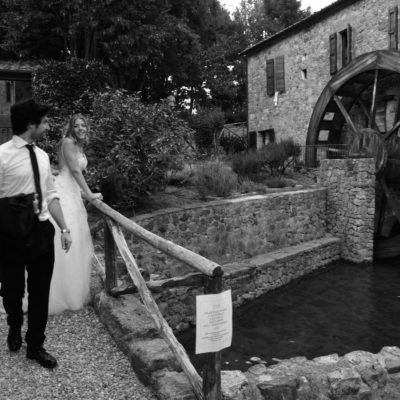 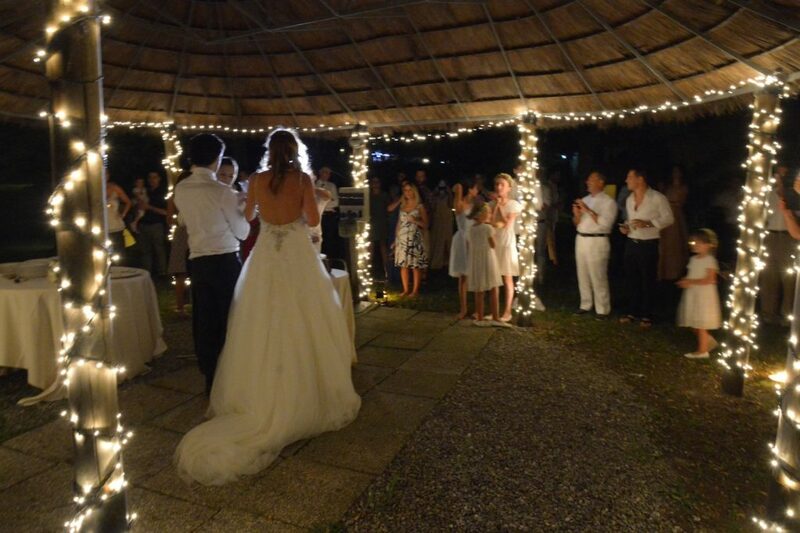 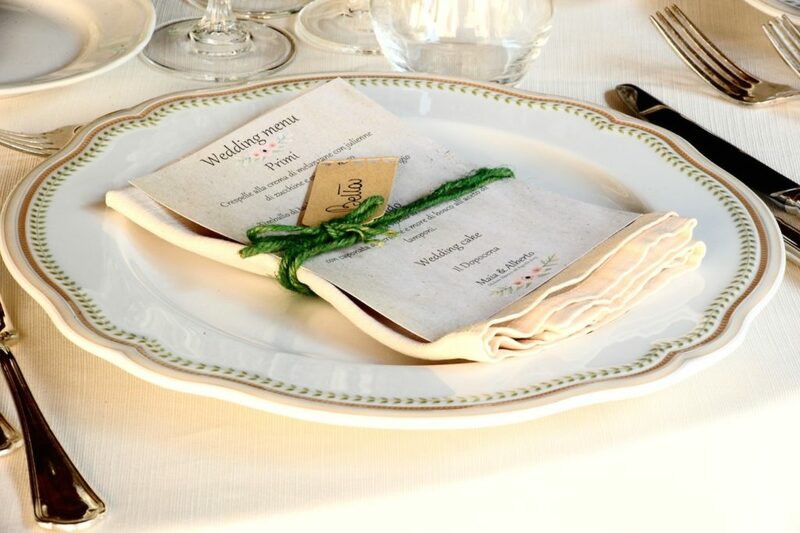 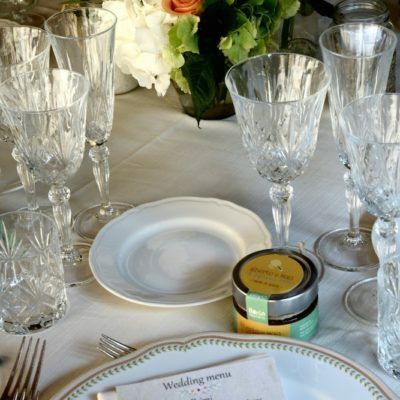 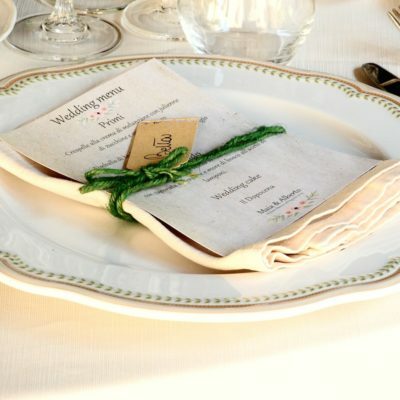 It was a country but elegant wedding in a typical water mill. 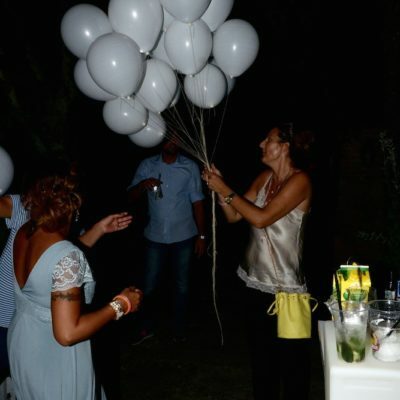 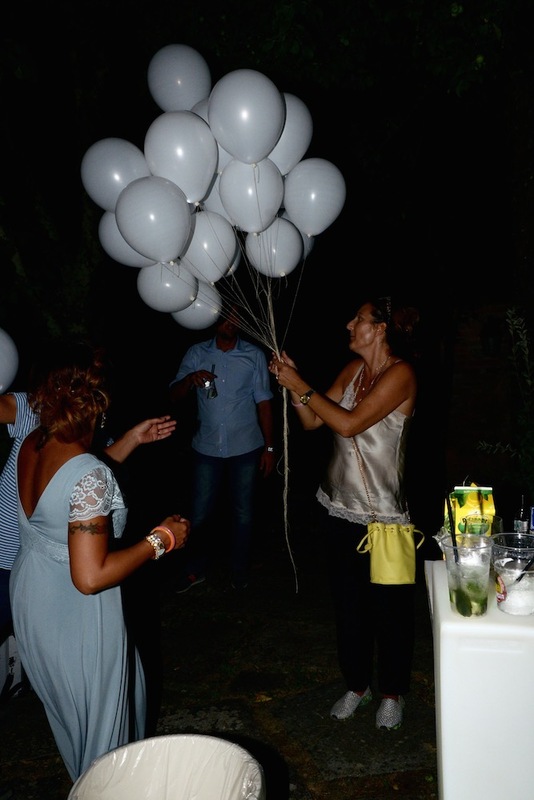 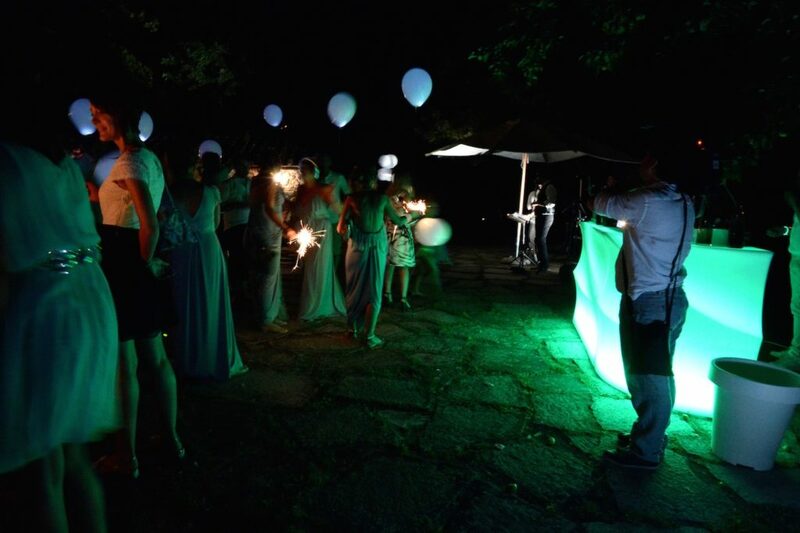 After dinner during the party, since it wasn’t possible to use the chinese lanterns, we gave them and to all their guests a light balloons and they let them fly away in the sky. 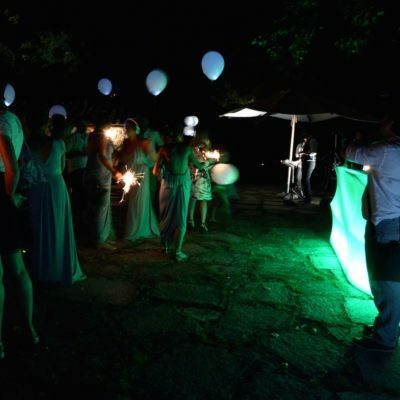 It was so romantic and nice. 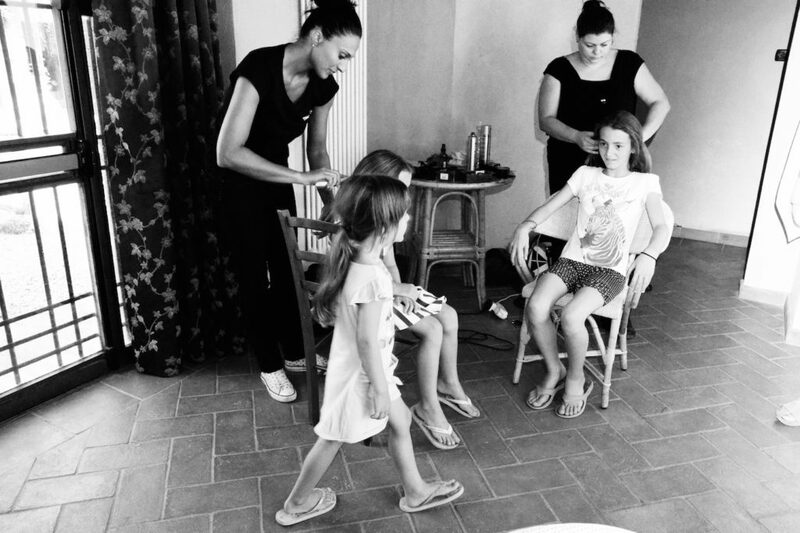 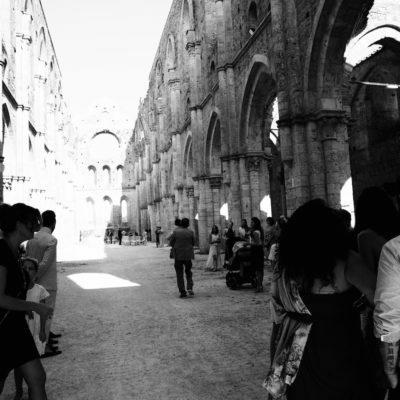 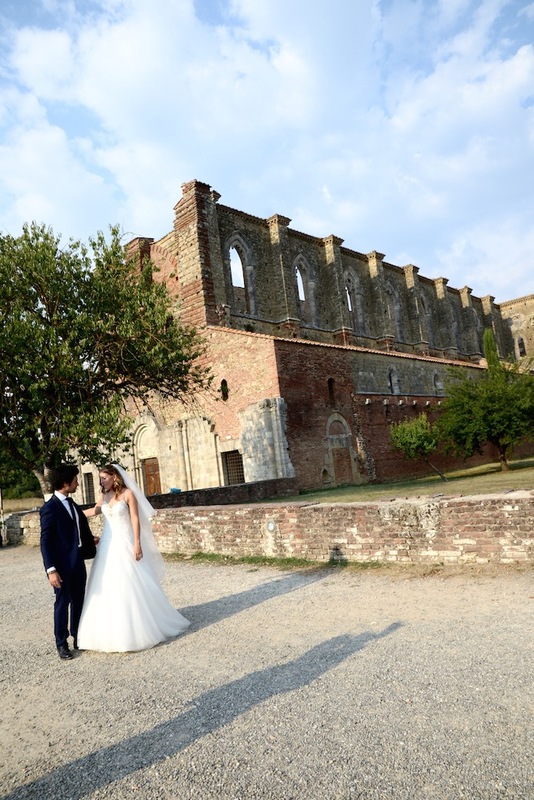 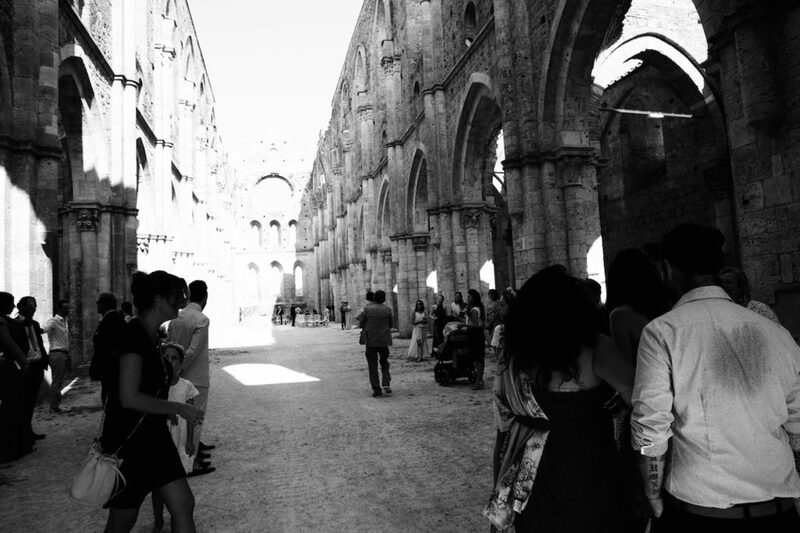 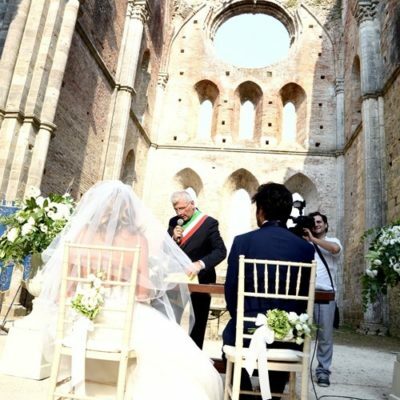 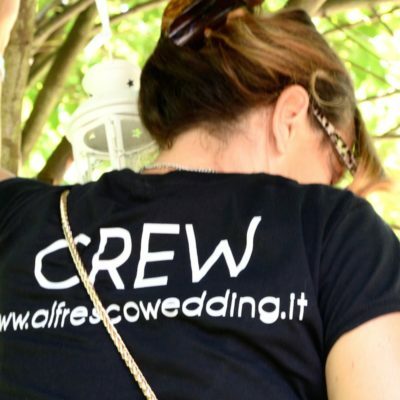 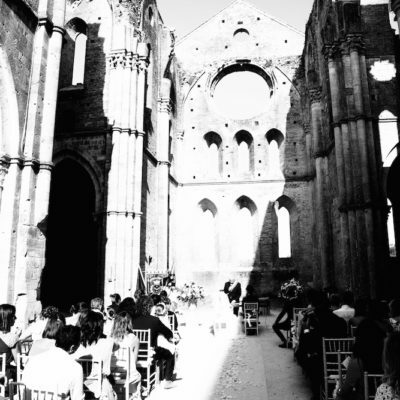 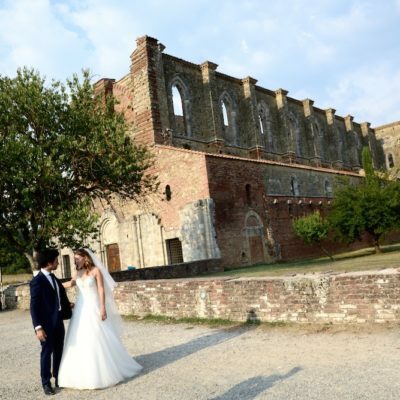 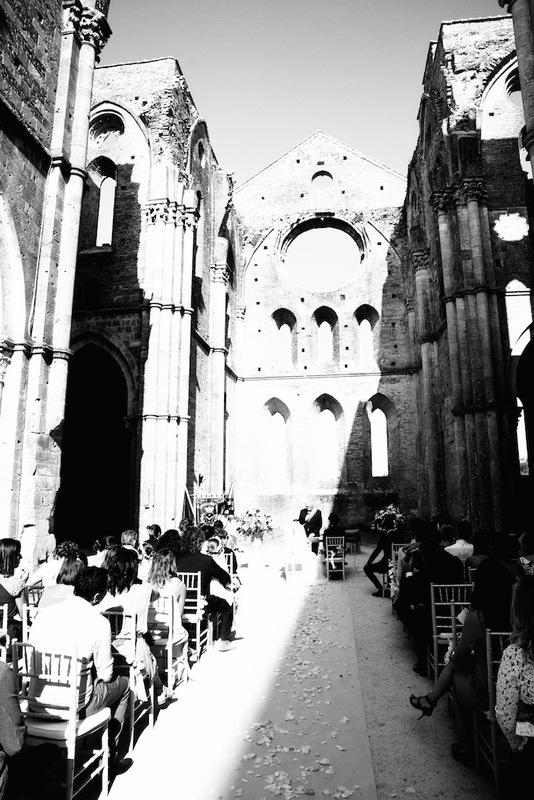 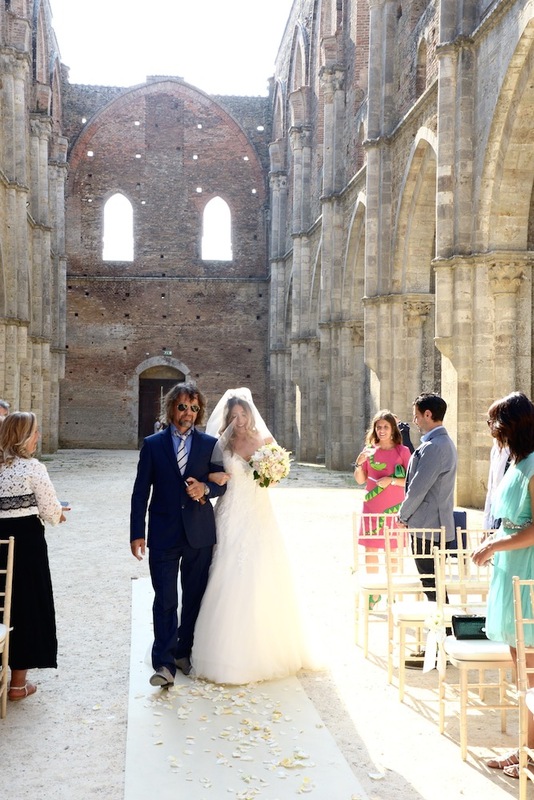 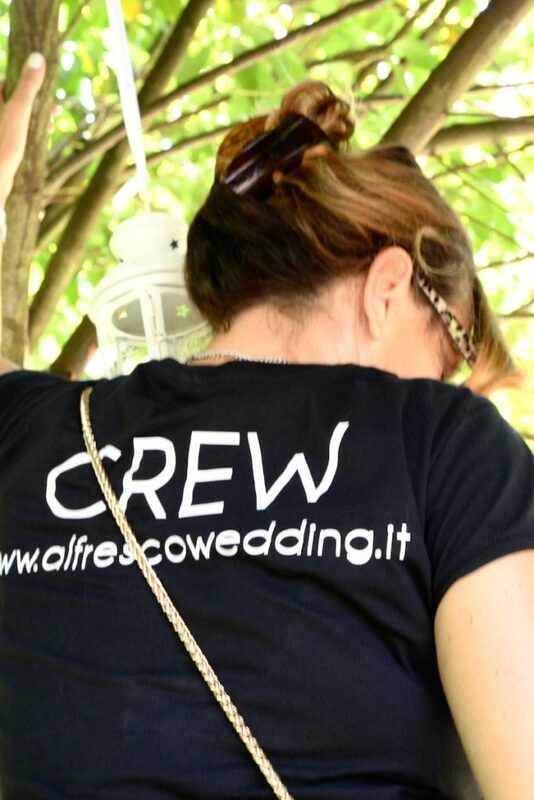 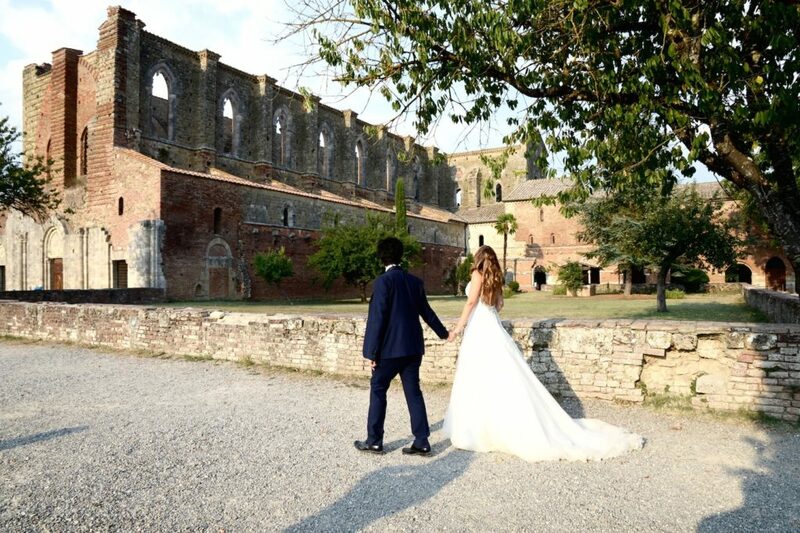 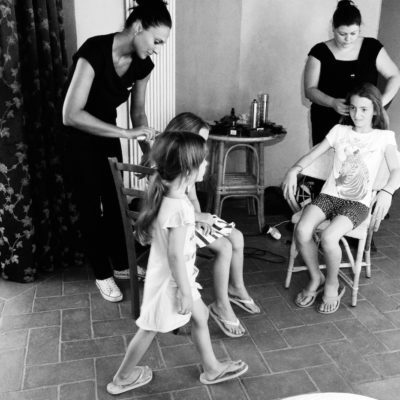 Make your fairytale wedding in San Galgano!